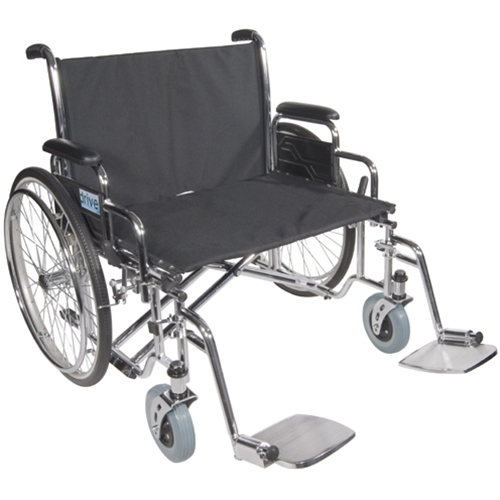 Drive Medical Sentra EC Heavy Duty Extra Wide Wheelchair from HealthyKin.com features steel, spoke wheels that are strong and maintenance free. A carbon steel frame with TRIPLE coated chrome provides an attractive, chip-proof, maintainable finish. Reinforced steel gussets at all weight bearing points provide additional strength.